Photography requires Art and when art meets photography, it insinuates the birth of something very aesthetically pleasing. Keeping our promise, Forman Photography Society would love to introduce you to the technicalities of Photography. 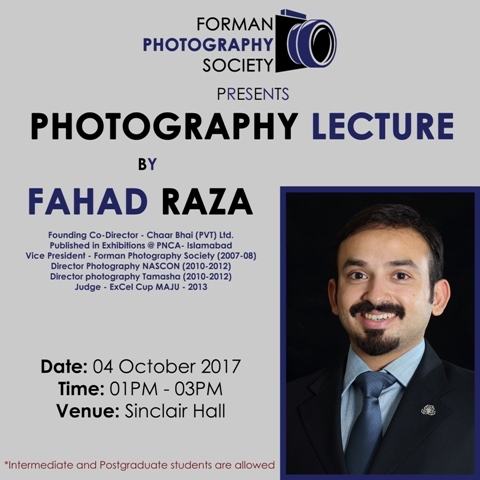 Join us on a Lecture by Fahad Raza to learn the technicalities of photography. FPS will await your presence on 04 October in Sinclair Hall from 01:00 pm to 03:00 pm.